Ever installed a new app or two on a Mac and then went to find them, only to be lost in a sea of other applications that are already installed? For those of us with a ton of apps installed this happens often, but OS X offers several ways to sort through the clutter and quickly locate these newly installed apps. We’ll cover two of the quickest, using Launchpad and also the Finder. 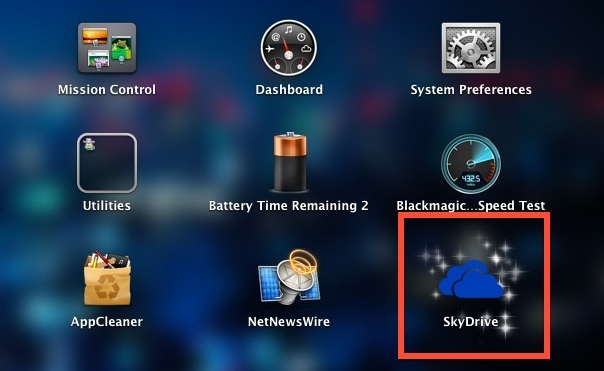 OS X Mavericks introduced a really fanciful way to quickly identify new apps: sparkles. No that is not a joke. Those stars are actually animated, if you haven’t seen this yet go install an app from the App Store then visit Launchpad to trigger the sparkles. This is quite a bit more obvious than the little blue dot next to new app names in iOS 7. The downside to this approach is that it only works for finding apps that have been installed through the Mac App Store, thus apps installed from DMG, pkg, or elsewhere will not show up with the sparkles in Launchpad, and you’ll have to locate those yourself through the Finder. For apps that haven’t gone through the Mac App Store, you’ll need to use the traditional approach of locating the updated or new apps within the Finder. This is simple and straightforward, and works with any app that has been placed into the universal /Applications/ directory, whether through the App Store, an application installer, or a user dragging and dropping something there manually. Whichever trick you use, you should find this useful for when you’ve recently installed new applications from the Mac App Store, migrating apps from one Mac to another, or just installed a handful of apps on your own. These are really nice tips. But there are few app which go neither into launchpad nor in the Application folder. I recently installed UnlockID app, though not from Mac Store, to unlock my Mac with iPhone’s touchID but it is not in both these locations. However, whenever I restart my PC, its icons shows up in the status bar. What should I do in this case? Haha, Skydrive. This one is forbidden on my MAC! So i need only a notification to DELETE this bug. How do I find apps that were downloaded from the Mac App Store. For example, I can download EVERNOTE from the Mac App Store or from the Evernote web site. Is there a simple way to recognize one from the other in the finder or any other finder-like program like PathFinder?